I have used Facebook regularly for years dating back to 2007. Before I got saved in November 2013 I used Facebook to post ungodly jokes, lifestyle pictures, and many other evil things. I would use it to keep up with others and girls that I was interested in too . Once saved all that changed. When I got home from prison I deleted all my old wicked posts. I was so ashamed. After being released from prison in 2015 I couldn’t wait to start posting hard hitting and very convicting scripture and commentary. God got a hold of me and I have never gotten over it. 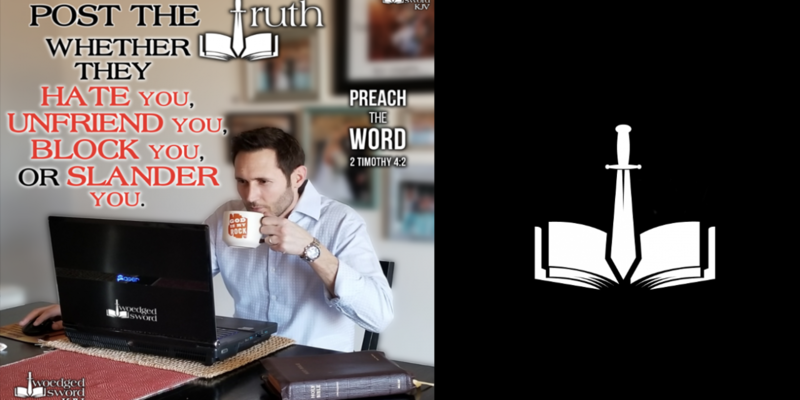 I filled my heart with the Word of God and wore out a Way of Life Encyclopedia. The first doctrine in the Way of Life Encyclopedia that I studied was repentance. It resonated with me and was the one thing missing in my life before getting saved. I knew so many were ignorant of repentance and I wanted to share it right away. I had a lot of lost friends on Facebook and I couldn’t think of a better way to reach them and keep myself separated. Facebook is a great way to reach a lot of people if used correctly. Not everyone’s audience will be the same. For example my audience consists of many lost people and false Christians. You can remain friends with old friends that are lost and simply “unfollow” them so that you do not have to see any of their wicked worldly posts and I highly recommend this in obedience to Psalm 101:3. 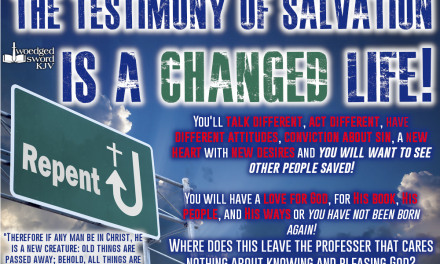 I make a point to post scripture and illustrations on how the testimony of salvation is a changed life. Most have never heard that and you will be very hard pressed to find it on social media. I preach on eternal Hell and repentance as often as possible. I setup a Facebook page called “Twoedged Sword KJV” and I design Bible memes to post along with scripture and commentary in text. 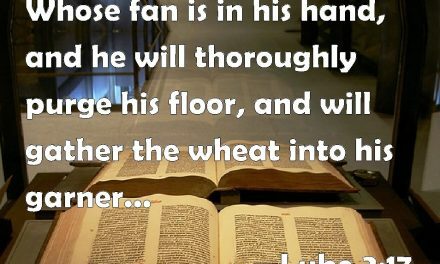 It is a great place to go and find a very large library of Bible memes to share that will be sure to set you apart! Please keep in mind that text does not get a 10th of the views and response that Bible memes do. Another thing I do is post very convicting memes on my “Facebook story.” That will reach many more people and will also show you who is viewing them. My grandparents told me my cousin was convicted by my posts and started reading his Bible. I never knew until they told me. That was very encouraging and helped me to double down on social media. The other side to Facebook is that doubtless you will find fellow church members and maybe even leaders or pastors that post ungodly stuff or put more focus on politics than God’s business. The majority of posts you see on Facebook that are Bible related are very smooth. They do not offend anyone. I have noticed that the majority of church members live so below the standards of God that you would have to backslide to fellowship with them. I know every church is different so I am speaking about what I see. I know that I have become “that guy” in my old church. Very few of the members ever liked or shared any of my posts which is discouraging. For the longest time I couldn’t believe they wouldn’t share or ever give an “Amen.” The flip side is they are either too ashamed and cowardly or convicted and need it. You get in a close walk with the Lord and you will find some of your enemies are in your own church! Any parent that lets their child onto Facebook or Instagram (that is where the majority of the youth are) before they are at least 16 are fools. That child better be born again and serving the Lord or they will be carried away by all the worldliness and wiles of the Devil. I will close with the following warning: Brethren, don’t you dare like or say anything positive about an ungodly post from someone like a worldly concert picture, immodest dress, dirty joke or anything you know doesn’t please the Lord or you are giving them confirmation that it is ok. I see this all the time. That shows a lot about the spiritual temperature of people. Just think of the damage caused when a clearly lost person, whether it be a friend or family posts something wicked and you like it! It is one thing for a lost person to do that but not a born again Christian! How can you then reach them? Failure to rebuke and separate will eliminate your ability to ever protest against it! I have seen our piano player at my old church and another leader post profanity on Facebook and I first gently rebuked them privately through Facebook messenger and they unfriended me and blocked me. If you are preaching hard and warning of Hell, false Christians etc. it will get very lonely. But God still has His 7,000! 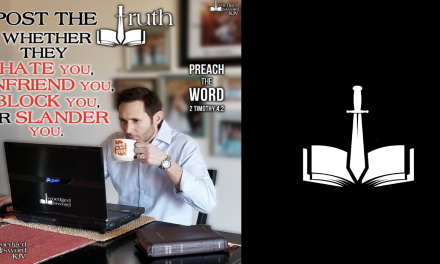 BRETHREN, POST THE TRUTH, WHETHER THEY HATE YOU, UNFRIEND YOU, SLANDER YOU OR BLOCK YOU. NOAH LOOKED LIKE AN IDIOT, TILL IT STARTED RAINING… DON’T WORRY WHAT THE WORLD THINKS, KEEP PREACHING ON SOCIAL MEDIA! 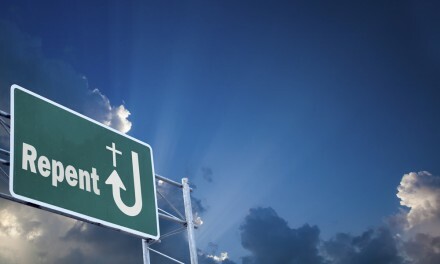 NextDoes Salvation Make A Difference?